Dressing for your body shape is not an easy task, especially when you're of an athletic or muscular build. This guide will tell you all you need to know about how to dress if you've got an athletic build. 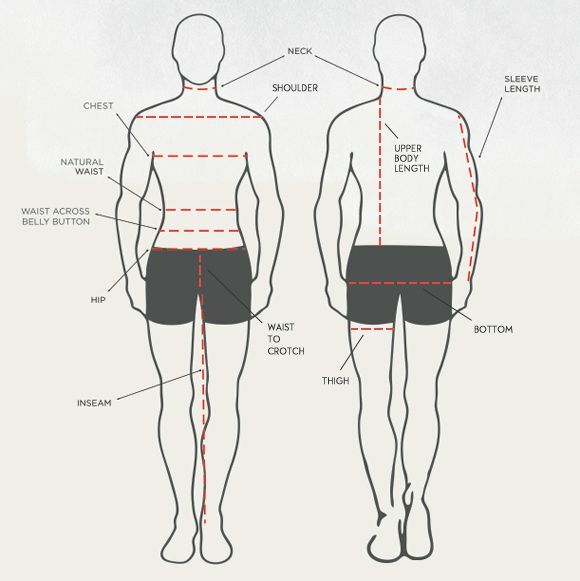 If you're of an athletic or muscular build, then you're probably all too aware of how difficult it can be to find clothes that fit, and suit, your frame. Being the most muscular guy in the office is all fun and games until you sit down and hear your suit trousers split at the seams. It might seem like finding clothes that actually fit comfortably is harder than your 7am weights session. However, with a little guidance, dressing to suit your body shape doesn't have to be so difficult. In the last few years, slim and skinny fits have taken over; jeans, suits, trousers, jackets and shirts have all fallen prey to the trend. Unfortunately, if you're of an athletic build, these types of fit really aren't for you. This can make it hard, when shopping, to find things that suit you. But, once you've figured out what styles suit you, all those hours spent in the gym don't have to be wasted; hidden under unflattering cuts and fabrics. Some brands specifically sell athletic fit clothing, but unfortunately not all shops are so considerate. 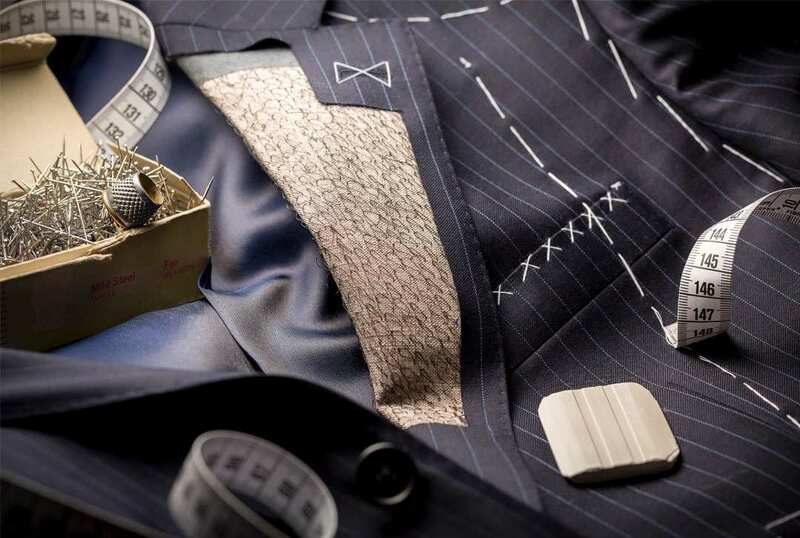 If you've got the money to splash out on a tailor or a made to measure service, then you can pretty much pick and choose your clothes as you please. If that doesn't sound like a viable option to you, then we've got plenty of advice for what will work well for your body shape. What is an Athletic Build? Being athletic doesn't always equate to having an athletic build. So just because you can cycle to and from work everyday without breaking a sweat, doesn't mean you need clothes to fit an athletic build. The most typical athletic build is known as a mesomorph; the muscles are well developed and defined but the waist is narrow. Of course, life isn't always that simple and you may be somewhere in-between categories. 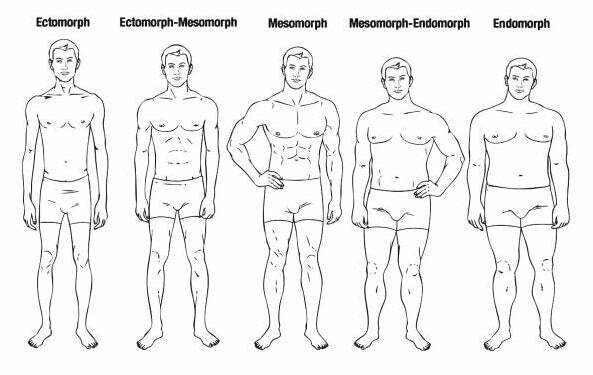 If you're short and muscular, you probably fall under the mesomorph-endomorph category. Similarly, if you've got muscular legs but a slim body, you're likely to be an ectomorph-mesomorph. Complex labels aside, it is important to figure out your body shape whether it's athletic or not. Knowing your body type can help you to draw attention to your best features and divert attention from the features you're not so proud of (did someone say 'beer belly'?). You can also save a lot of time when you're shopping. 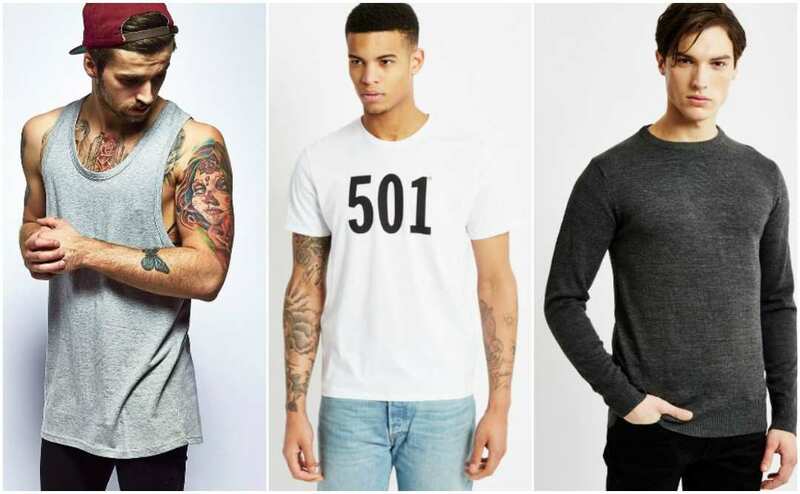 Clothes for guys with muscles can be hard to find but if you know what suits you, then there's no need to waste your time trying on half the shop only to leave empty-handed. Inverted Triangle: If you are in to rowing or rugby, you're likely to have a big chest and a small waist. This makes finding shirts and jackets that fit, a problem. Triangle: Footballers and cyclists are likely to find that their leg muscles get continually bigger whilst their upper body stays the same size. If this is the case, jeans and trousers that fit both your thighs and waist are hard to come by. The Square: If you carry your muscle all over your body, you're probably the envy of every guy in the gym. However, having so much muscle can make anything remotely form-fitting feel uncomfortable. Generally, an athletic build consists of large bones and large muscles. Your shoulders are probably wider then your hips, your thighs are bigger than your head, and your waist is likely to be small. If that sounds like you, then we've got a few tips on dressing up and down. Suits are generally the hardest thing to get right; most men find it hard to get one that's well-fitting, so the challenge is ten times harder when you're secretly The Hulk. For casual wear, there aren't as many rules; you just need to stick to classic and flattering styles. As we have stated some brands actually do sell clothes that are specifically athletic build clothing. However, if you find yourself in a situation where you cannot find the athletic option, remember these rues below and you'll be fine. 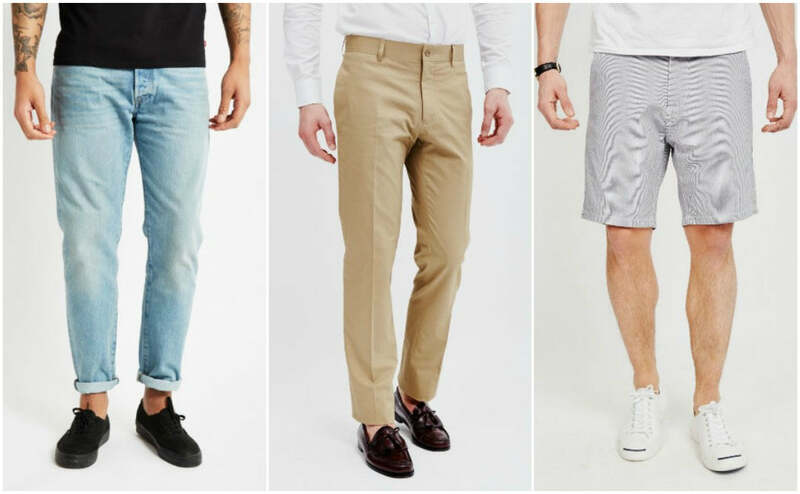 When it comes to casual wear, there aren't too many things to consider. It's not as important for your jeans and t-shirts to fit perfectly as it is for your best suit to. You do want to make sure that you're wearing things that flatter your shape, though. A loose-fitting vest is of course always a good option if you've got muscular arms. But, if you don't feel like getting the guns out, t-shirts and knitwear that have a bit of stretch to them are always flattering. A classic flannel shirt is a good option for the colder months, as are relaxed fit jackets without any shoulder padding. Relaxed fit trousers and jeans are going to be your best bet. Skinny jeans might look cool, but finding a pair that you can pull over your thighs is going to be almost impossible. Levi's 501 Original and Tapered jeans are known for being particularly well-fitting on guys of an athletic build. The same applies for shorts; loose fitting is best. Belts are fine, but don't go for anything too bulky as it will only make you look bigger. Buying a well-fitting suit is hard enough for most guys, let alone if your legs would give Usain Bolt a run for his money. When it comes to suits, opt for brands that let you buy the jacket and trousers separately, or splash out on a made-to-measure service. If you're bigger on the top than you are on the bottom, you might need anywhere up to a 10" difference (or a "drop", if we're talking technically) between your jacket and your trousers. If you're chest and shoulders are particularly broad, you'll need to pay particular attention to how the shoulders of your jacket fit. Avoid anything with excess padding in the shoulders; if you're already well-built in that area you don't need to over-do it. A soft shoulder, or natural shoulder, jacket is your best bet. Choose something with regular lapels; slim ones might be fashion-forward but they'll end up looking out of proportion against your chest. When it comes to shirts, formal and casual, the most important thing is that they fit well across your shoulders and around your neck. 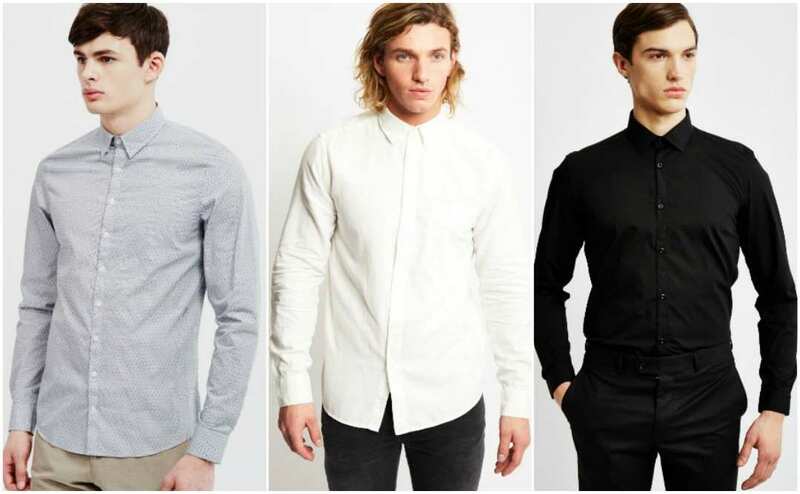 As a general rule, if the material across your chest, shoulders or upper back is puckered then the shirt is too small. Similarly, if you can't fit a finger between your shirt collar and your neck, then you need to go up a size. Some brands stock athletic cut shirts, with lower arm holes, which give you more room in the upper-body but still looks nicely fitted around your waist. If you're shopping somewhere that doesn't stock athletic cuts, then you can choose pretty much any shirt as long as you pay attention to sizing and fit. It's not uncommon for guys of a muscular build to find the waistband of their trousers sags whilst the thighs positively burst at the seams. If this nightmare sounds all too familiar to you, it's time to step away from the slim and skinny fit trousers. Instead try regular, tapered or classic fit trousers; these fits will allow you to experience a whole new world of comfort, as well as flattering your leg shape. 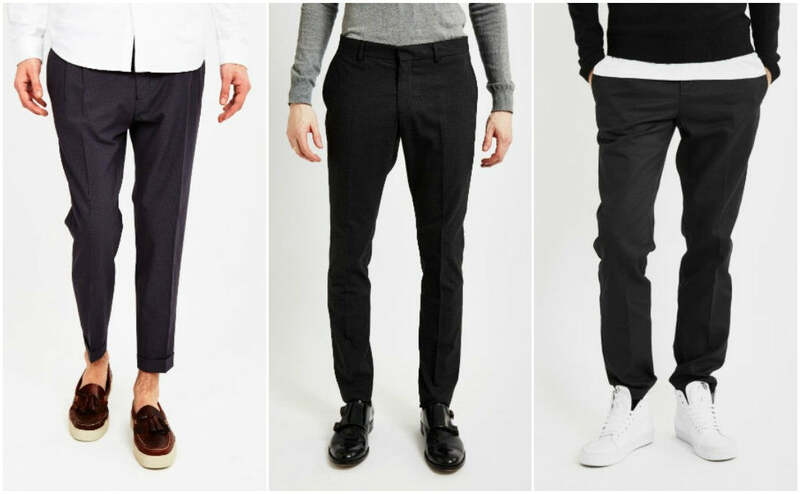 If your thighs are particularly big, pleated trousers can be particularly flattering. If you're really struggling to find clothes that fit, or you've found something you love but doesn't flatter your shape, you're best option is to see a tailor. Striking up a good relationship with a tailor isn't a bad idea; the better they know you, your style and your body shape, the better they'll be at fixing your wardrobe. It's not a cheap solution, but it's definitely worth it to ensure a great fit for classic or expensive pieces. Remember, it's easier for a tailor to make your clothes smaller. So if you're planning to take something to your tailor get it in a bigger, rather than a smaller, size. Shirts: It's necessary to see a tailor if some areas fit perfectly but others don't. So if you've finally managed to find a shirt that doesn't look like it's going to rip open every time you move, but the sleeves are too long, a tailor will be able to shorten them in no time. Perhaps your shirt fits perfectly across your chest and shoulders but hangs loose at the waist; in this case your tailor can easily rectify the fit with some darting. Jackets: Having a waist that is a lot narrower than your shoulders is a common problem for athletically built men. If your jacket is looking too boxy or baggy around the waist, you'll need to take it to a tailor who can make it a more flattering fit. A good tailor will know not to take it in to far, which will end up suppressing your waist. Trousers: If you've got big thighs and glutes, you probably have to size-up in your trousers, which can often leave the waist too loose. In this case, you'll need to see a tailor to have the waist taken in. If you're thighs are larger than life, your tailor might have to let them out to give your quads some extra room. If you spend a lot of time in a suit, or you fancy having a perfectly tailored one sitting in your wardrobe, then it's worth investing in a made to measure service. Whilst it can be expensive, it's definitely worth it if off-the-rack suits just don't fit you right. Good measurements are the basis of a perfectly fitted suit, so here's how to take yours (you'll probably need a friend to help). Neck: This measurement is taken around the neck, allowing the tape measure to rest on your shoulders. Slip a finger between the tape and your neck when measuring, so that your collar doesn't end up too tight. Chest: Make sure your stance is relaxed, and breathe out. Measure around the widest part of your chest to get the circumference. Waist: Again, breathe out and stand with a relaxed posture. Measure the circumference of your waist by laying the tape around your waist, just above the belly button. Hip: Take this measurement around the widest part of your hips. Shirt Length: Start at the inner side of your shoulder, and straight down your body to where you want your shirt to end; just near your hips. Shoulder Width: Measure across your back from shoulder to shoulder. The measurement starts and ends in line with your armpits. Sleeve Length: Bend your arm slightly and rest your hand on your hip. Start at your wrist and follow your bent arm to the outer side of your shoulder, where your shoulder width measurement ended. Jacket Length: Measure from the top bone of your spine, straight down your back to where you want your jacket to end. In-Seam: Stand upright with straight legs; measure from the crotch, straight down the inner side of the leg to the floor. If you're a little shorter than you'd care to admit, as well as being of a muscular build, it can be even harder to find clothes that flatter your figure. Of course, a golden rule for looking taller is to create a seamless look from head to toe. A muted pinstripe suit does the job perfectly; it creates a vertical line all the way up your body without actually drawing attention to the fact that you're trying to look taller. When it comes to the fit of your suit, the same guidelines apply as for any other muscular physique. You might even have more need to consult a tailor, as your suit might need taking up as well as letting out. You can create a similar effect with casual wear by paying attention to detail; match the colour of your shoes to your shirt or jacket to help guide the eye in a vertical line. Avoid heavy patterning, which can disrupt the smooth line that you want to create. As for trousers, stick to the guidelines for an athletic body but avoid cuffs or turned-up bottoms as they can cut inches off your leg. Don't succumb to fads and trends. Instead, figure out what suits your shape and stick with it. Don't forget that sizes vary from shop to shop, so don't assume that you're always going to need a size extra large. If you're finding it really difficult to find clothes that fit properly, find a good tailor instead. They'll be able to make it look as if your clothes were made just for you, so it's worth the extra cash. Spend some time finding brands that work for you. If you find a brand that makes trousers which fit you perfectly, stock up on a pair in every style and colour. Remember that something which makes a statement on an averagely built guy, will make ten times the statement on your physique. That doesn't mean you have to rid your wardrobe of bright colours and quirky patterns, but just bear it in mind next time you slip on a Hawaiian print t-shirt and bright pink shorts. Stick to classic styles; they're classic for a reason. A simple t-shirt and jeans will do a lot more for your body shape than something outlandish, like a pair of leather trousers. If you're still feeling unsure on how to put together an outfit that would work for your physique, take a look at how some of Hollywood's finest, and most muscular, men are dressing. Daniel Craig, Chris Hemsworth and Channing Tatum demonstrate how you can rotate classic styles without looking boring. Sure it probably helps that they spend their days running around as action heroes, but if you follow their lead, you'll be able to look almost as cool. Let's not pretend that there's not a tiny part of every guy that wishes he was James Bond. So, who better to take inspiration from than Daniel Craig? He sticks to all the rules for tailoring; classic fit trousers, unpadded jacket shoulders and regular lapels. He also favours relaxed fit jeans for casual wear; a classic white T-shirt and a lightweight leather jacket show off his broad chest. For a smart casual look, he proves how well knitwear and an unstructured coat can work on a muscular frame. Side note: sunglasses are optional. 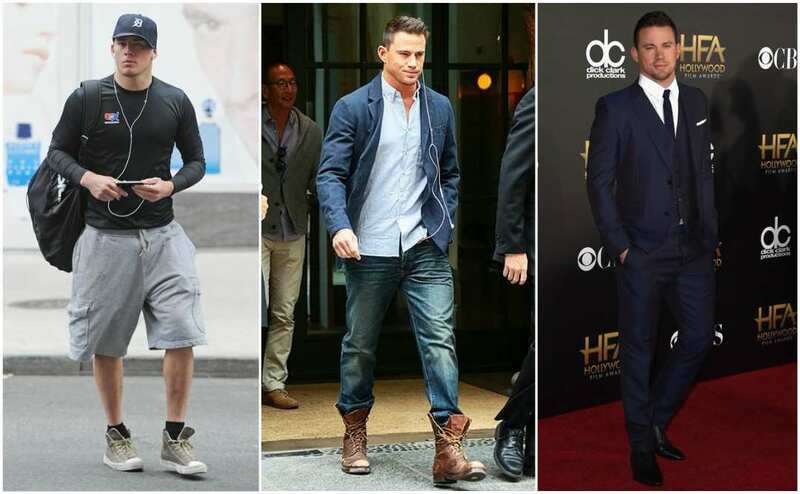 Channing Tatum is well known for his athletic build and he certainly knows how to dress for it. On days when you're actually heading to the gym, don't be afraid to pair loose-fitting shorts with a tight top; although you'll probably want to avoid this look if you've been skipping leg day. 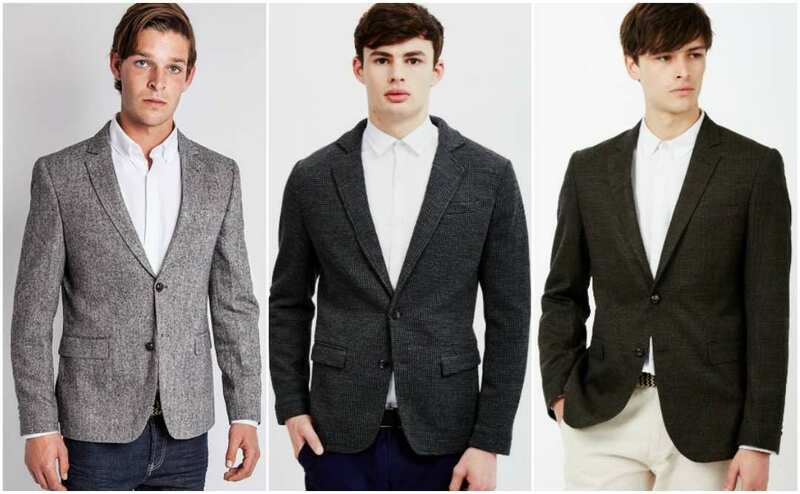 An unstructured, unpadded blazer works well with relaxed fit jeans for a day time look. When wearing a suit, adding a waistcoat can help fill in your waist and balance out your figure. When he's not dressed up in character for Thor, Chris Hemsworth knows a thing or two about fashion. He proves that muscular guys can layer up without looking strangely bulky. A gilet is a much better option than a jacket, as it keeps your layers evenly distributed and stops your arms from resembling the Michelin Man. If you've got a broad chest, keeping things unbuttoned for both casual and formal looks allows you to work with your physique, rather than suppressing it. Instead of trying to follow the latest trends, stick to clothes for an athletic build which you know work for you. Strike up a good relationship with your tailor. He'll be able to make your favourite pieces fit a lot better if he knows you and your shape well. Stick to classic, understated looks; trying to make a statement doesn't always work when you're physique is a statement in itself. Be sure that you know your body type and your measurements. Knowing these makes finding things that suit your body shape a lot easier. If you stumble across a shirt that fits you perfectly, don't be afraid to buy one in every colour; it's better to wear the same style every day than to wear something unflattering. Stop desperately trying to squeeze in to those skinny jeans that you hate wearing, and go and buy some relaxed fit ones instead. Rules are no fun, but if you're of an athletic build it's worth following a few guidelines to ensure that your clothes enhance your muscles rather than hide them. Suits are the most difficult thing for muscular men, so it's definitely worth investing in a made to measure service or having a tailor work with you to get yours fitting nicely. Jeans and trousers are less of a problem as long as you stick to flattering fits. As for the rest of your wardrobe, you can pretty much do what you want. Just remember that you might not always need a size large or extra large, as sizes vary so much between brands and styles.